Fine in fine dust jacket. Light shelfwear to dust jacket, otherwise brand new and unread. 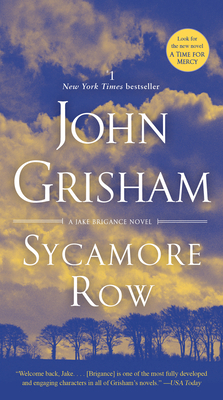 If you loved "A Time To Kill," then you will love "Sycamore Row." Jake Brigance, his wife, Carla, and several others that were in the first book, return in this book. You won't fully understand the reasoning for the title of this book until nearly the end of the book. Although this is a long book, it is a great read. Loved every page of it. Really keeps leading you on, had to stay up way past bedtime to finish.